The end of summer is upon us. In fact, my kids have already started back to school! 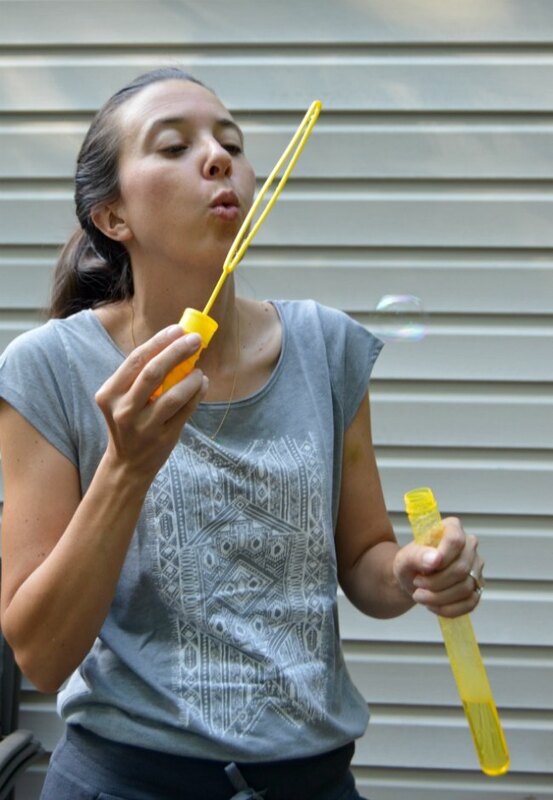 We are still trying to soak up the end of summer activities, like fitting in a baseball game, blowing bubbles, and enjoying a few last days at the pool. But already I am starting to hear “pumpkin spice” thrown around and I am watching the leaves for any sign of changes. The change of seasons often makes me want to add a few new clothing items to my wardrobe to freshen up and to transition into the new season. 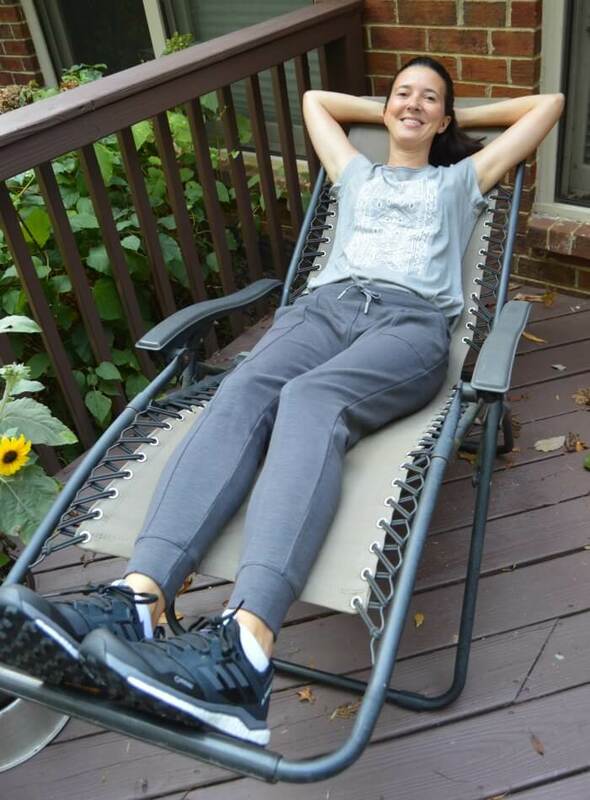 I love prAna sustainable clothing for women (and men) and I was delighted when they offered to provide me with a few end of summer favorites to facilitate my review. Get 15% off prAna now when you shop online with promo code ESSPF18! What drew me to prAna originally (back in 2014) were two things- style and sustainability. First- style. Of course, clothes have to look great in order for you to want to wear them! They have to make you feel confident while being comfortable and making you look your best. I could see straight away that prAna clothing was stylish and that they offered an assortment of clothing for active people that ranged from cute workout clothes to stylish work clothes to dresses for date night. Second- sustainability. I love knowing that I am buying a quality product that is a good choice for our world. Shopping more sustainably just feels good. Not only does prAna partner with companies and factories that adhere to strict guidelines for safety and efficacy, they also use materials from sustainable sources. Much of the prAna clothing lines is made from organic cotton, recycled wool, recycled polyester, and/or hemp. Many of their products are certified Fair Trade. When you can look great in clothing that makes you feel great, well, that’s a no brainer! Plus, I love the clothing on my husband too. It is our go-to-brand when we want to buy something for our travels. I also love getting gifts at prAna. These are great end of summer clothing pieces to add to your wardrobe because the can get you the end of season heat and still transition nicely into the fall. The Longline t-shirt is a versatile t-shirt that you can dress up with a pair of white crop pants or dress down with a sports bra and some yoga pants. This cute tee is a short sleeved scoopneck with a rounded bottom hem and a novelty screen print that gives it that stylish edge. The lightweight jersey blend is made from organic cotton and recycled polyester for a soft feel that is durable through the wash and wear. The mid-weight unity pant is super comfortable (organic cotton with stretch) and they feature front and back seaming details that make them fit and look great. The front slash pockets also add to the stylish aesthetic of these women’s joggers. I like the mid-rise construction so they don’t feel too low or too high- just right! The encased waistband elastic, and drawcord rubber logo tips add to the durability and style at the same time. I love how comfortable these are to go for a run with a t-shirt or to dress up with a cute sweater for a trip out. 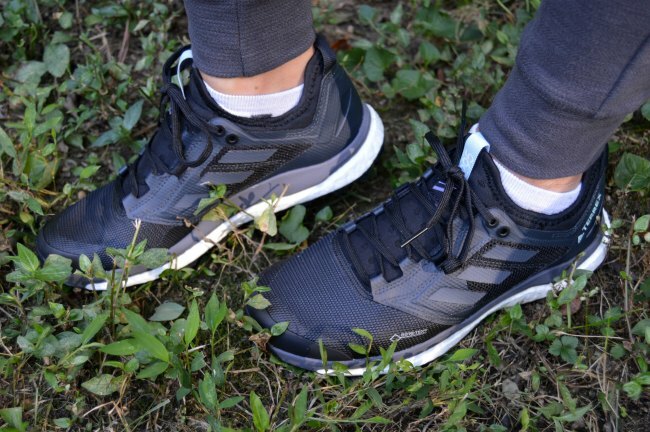 I paired my prAna end of summer outfit with adidas Outdoor Terrex Agravic XT GTX Trail Running Shoe. I think these shoes look stylish but they can also handle any terrain. I love to take hikes in the woods and I have recently started running a bit so they are great for that too. They are even waterproof and breathable with Gore-Tex! Do you need some stylish end of summer sustainable clothing for women or men? What are your favorite pieces? They have so many great pieces! I just ordered my husband some great new sustainable short sleeve button downs. What do you feel like shopping for? If you want to learn a little more about the kind of company that prAna is, you can check out this fun story about five women searching for the surf in the Middle East. 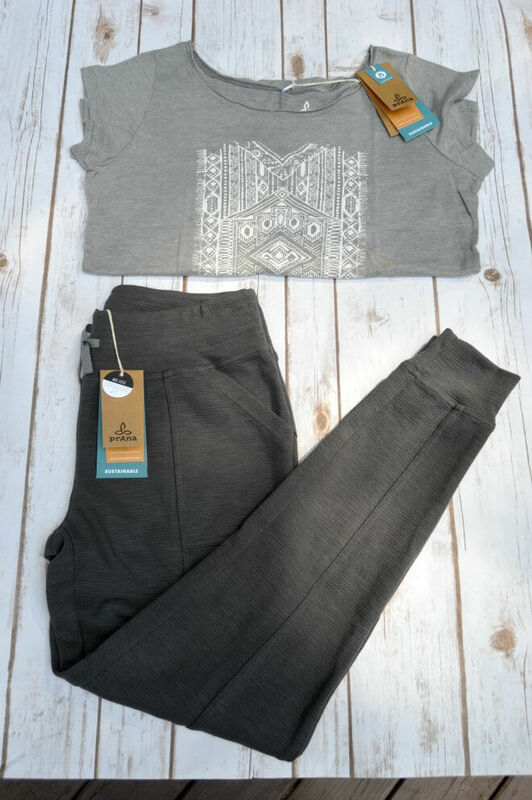 prAna is all about fun, fashion, and doing good through the choices we make.